What are the best Happy Mother’s Day quotes? Looking for inspirational Mother’s Day quotes and sayings? Where do I even begin, when I began with her. How can I describe what she means to me? My first love, my superhero, my protector, my fiercest advocate. She who taught me everything that I know, from tieing my shoelaces to how to never give up! My mom has this saying, “what is for you, cannot be unfor you” which basically means what’s meant for you, will be yours – no one and nothing can take it from you. When I think about everything my mother means to me, and what I mean to her, somehow saying just “Happy Mother’s Day, Mom” just doesn’t seem like enough. What do you think, can we do better and make this Mother’s Day a little bit more special. And even more so, how much you mean so much to her! Think about how much time you used to spend together, every morning and night and somehow now we don’t spend as much time together. I wonder if that separation is hard for our mothers. Imagine how much she loved receiving handmade gifts and cards from you as a child. Displaying how much you loved her on the fridge or her desk at work. I’m sure she still has a few hidden somewhere. Instead of just getting her the usual card and flowers this year, give her a personalized Mother’s Day gift. As much as I support any day that encourages us to tell our Mother’s we love them, perhaps we can show her just how much she STILL means to us, even now as adults. I’m sure she’d absolutely love receiving a handmade Mothe’rs Day Card with the perfect quote saying just how much she means to you. 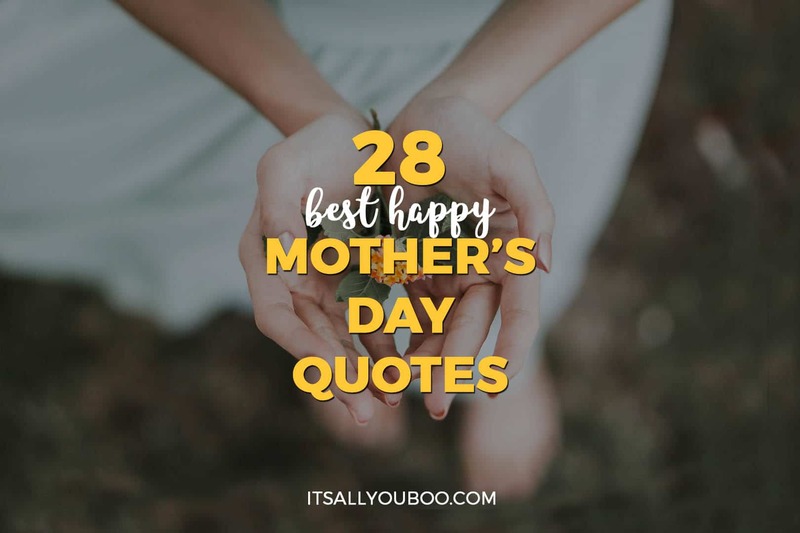 Here are 28 of the best Happy Mother’s Day Quotes and Sayings. She made us who we are! From every encouraging word spoken to inspire us and keep us going, she taught us to believe in ourselves. 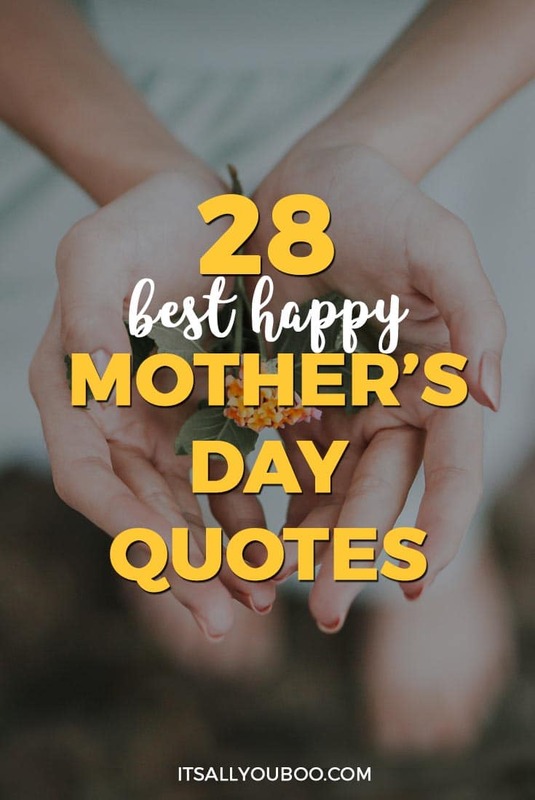 This collection of Happy Mother’s Day quotes and sayings reminds us just how much of who we are is because of her hope and love for us. What better way to show your mom you love her than by appreciating how she made you who you are. What lessons has your mother taught you? From how to tie your shoelaces and maybe ride your bike, all the way to the epic life lessons that drive your life. This selection of Happy Mother’s Day Quotes celebrates everything that your mother taught you. Okay, let’s be honest, how many times was mom right? She calls it how it is, she’s always honest and she knows what you need to do. These Mother’s Day Quotes and Sayings remind us that we can always go to mom for honest advice when we need it most. Who else can you trust to always be straight with you, no matter what but your mom? She was your first love! Every hug, kiss and embrace your entire life. No one loves you as much as your mom and she sure knows how to show it. 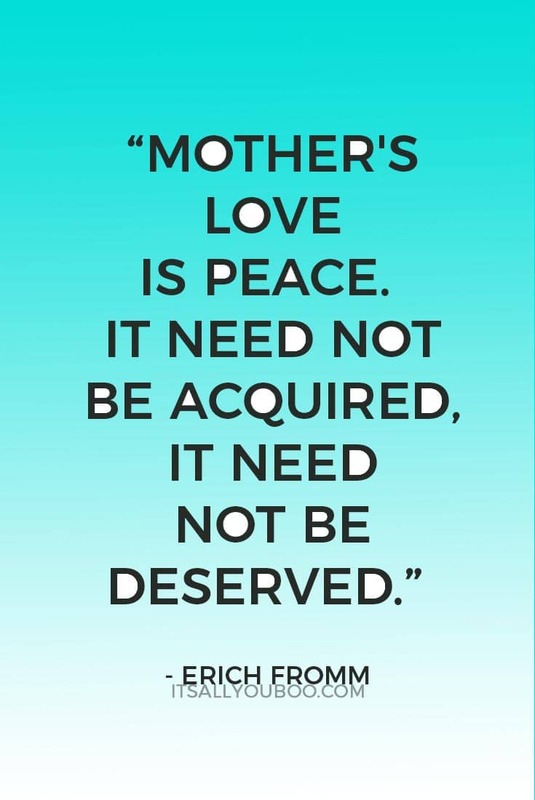 This selection of Best Mother’s Day Quotes captures the essences of a mothers love. Why not show her how much you love her with the perfect Mother’s Day Gift. She raised us, guided us, loved us, taught us everything we know, so we can thrive without her. She poured all that she is into us, so one day we can live without her. 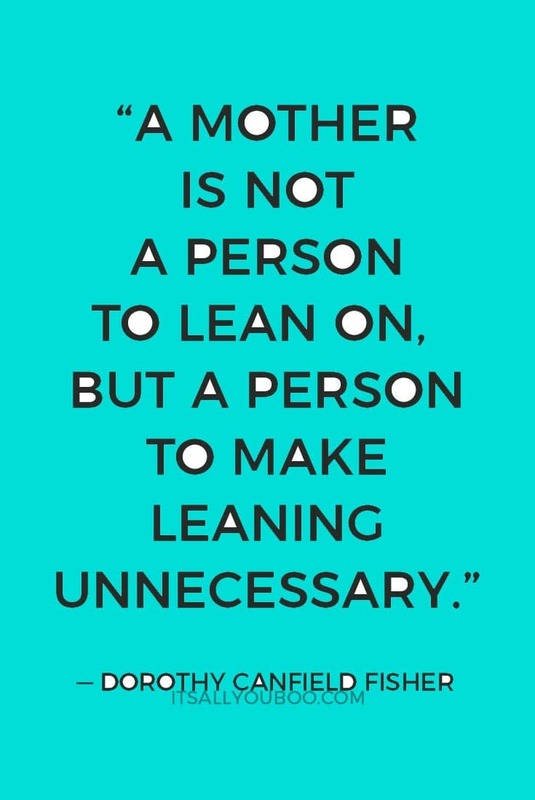 This collection of the Best Happy Mother’s Day Quotes reminds us to not forget our Mothers. Who raised us, to do without them. No matter what we do, we often grow up to be just like her! She was our first role model, our hero. Why wouldn’t we though, mom’s hard-working, dedicated and loving? This selection of Happy Mother’s Day quotes is perfect from her daughter (or son). An extra special message of love to all the motherless daughters and sons on Mother’s Day. I hope these quotes bring you fond memories. Mother’s Day is all about love and appreciation! We sometimes forget that we deserve the same love and affection we give so easily to others, and moms are no exception. 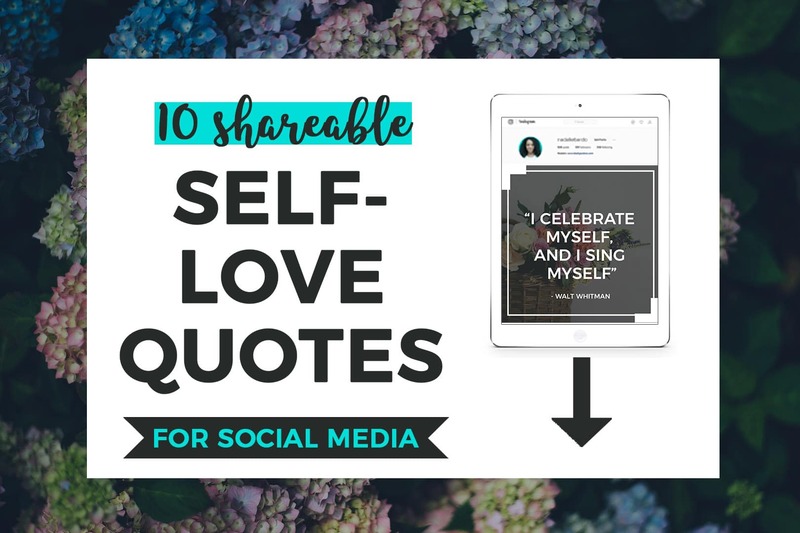 I’ve created 10 beautiful designed shareworthy, self-love quotes for you to use on your blog or social media. This download comes with high-resolution graphic quotes formatted just right for Instagram (square) AND Facebook/Twitter (landscape). Share the self-love on Mother’s Day! What’s the best Happy Mother’s Day Quote? It really isn’t! I love making my mom handmade cards with a special message. I love that you included funny and sentimental quotes in this list. I still make my mom homemade Mother’s Day cards now as an adult because I know she will appreciate them more than any gift I could buy from the store. I’ll definitely use some of these quotes to amp up this year’s card! I figure why not! I know there are plenty of funny moments between myself and my mom. 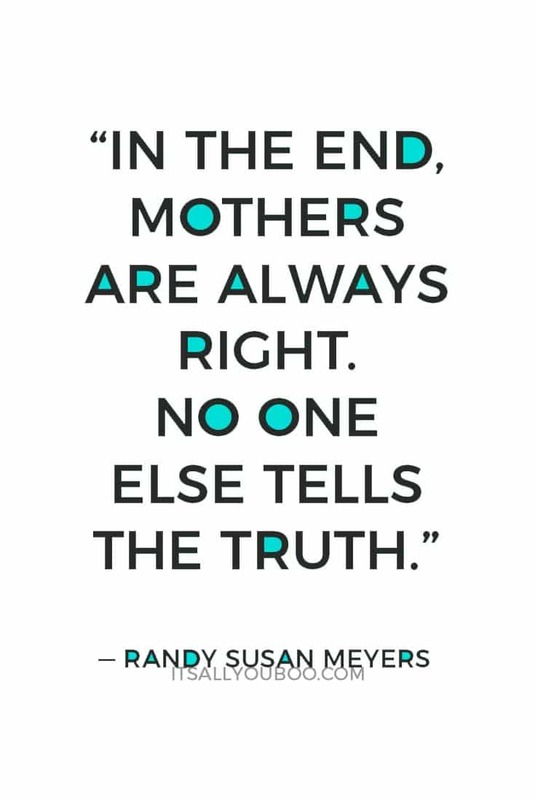 Love all of them but my favorite is that mother’s are the only ones who will tell you the truth! That IS the truth. Mom’s know how to give reality checks with love. Moms are all about saying how it is, or at least mines is hehe. Gotta love the mom reality checks. These quotes are all so beautiful. As a mom myself, this made me tear up. I love when my kids make me anything handmade (they are 5 and 3). I developed a whole new level of respect for my mom when I became a mom. So glad that you enjoyed them! As a daughter, I feel the same way. I hope to have that experience one day. I lost my mother in 2004 so it gets lonely for me around Mother’s Day. But I just say a little prayer for her and all the great moms in the world. I love all these quotes especially $10 and #13. Moms make great sacrifices for their kids, no matter how one thinks about their own mother. I’m so sorry to hear. I hope these quotes bring back lovely memories of your mother this year. #13 is one of my favorites too! Love how honest my mama is. 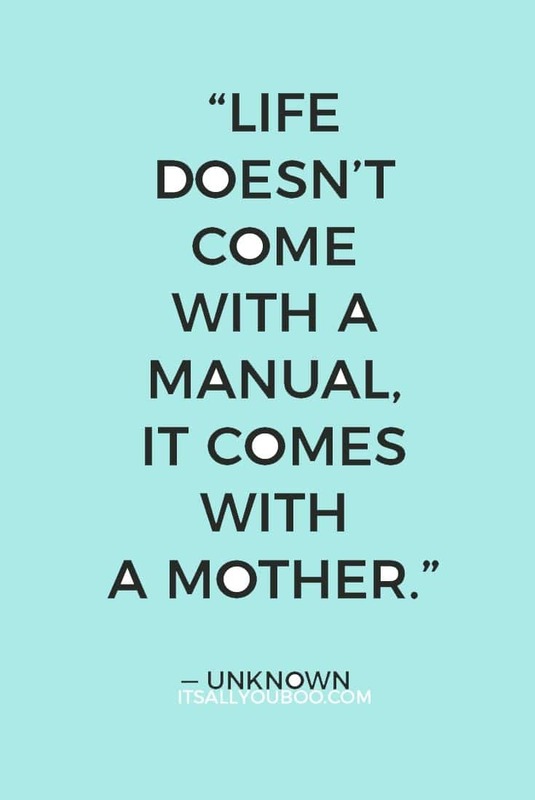 So many great quotes for mother’s. You gave me a great idea. I might take some of these quotes and create a little desk book for my mom. I think moms need little quotes like this to remind them how amazing they are. That sounds so lovely! I’m sure your mom would LOVE that. Heart made for Mother’s Day gifts are the best. I love all of these. I don’t know what I would do without my mom. She’s been my biggest cheerleader, my most comfort, and love her more than anything. I’m right there with you on that one. I don’t know where I’d be without my mama. As a mother I delighted in this post! My mother is my superhero too and I have so many wonderful quotes to choose from thanks to you! I especially lovedhow you broke up the quotes by themes! Yay for supermoms! Enjoy the quotes, I’m sure she’ll love receiving them. These are some great Mother’s day quotes! These would be awesome to add to your mom’s gift, just another way to let her know how much we appreciate her and love her. I so miss my mom sooooooo much! I really love the quote: A mother hold their children’s hand for a short time, but holds their heart forever! I think so! I’m planning to give one to my mom every day leading up to Mother’s Day. I LOVEE that one, it’s so true! This is a great list, I can tend to draw a blank sometimes when it comes to greeting cards so lists like these are helpful. Quotes make it so easy to say what’s in our hearts when it’s hard to find the exact words. Quotes are my favorite! I especially love #6! I’m sure she’ll love receiving any of these quotes. Awww *tears* that’s so beautiful! Thanks for inspiring me to show my mom that I believe in her. Yay for finding a post just at the perfect timing. I’m sure your mom will LOVE these Mother’s Day quotes and sayings. These are great quotes! I love how you made them easy to tweet. I will be sending these to the special moms in my life. I’m a fan of making it easy to share the love, especially on Mother’s Day! Awesome curation. I could use these quotes for writing practice. Glad you’re loving the quotes! These quotes are great. I also love some of the gift ideas that you linked on your post. So love that you’re enjoying the Mother’s Day Quotes! Me too – aren’t they such great ideas for Mother’s Day gifts? These quotes are so great! Sometimes it’s so hard to know what to write in your card to really describe how great your mom is! This list will help with the writers block so much! Thank you! I feel the same way, I like think I can come up with something great, then spend ten minutes staring at the blank page like.. some on Nadalie… think! 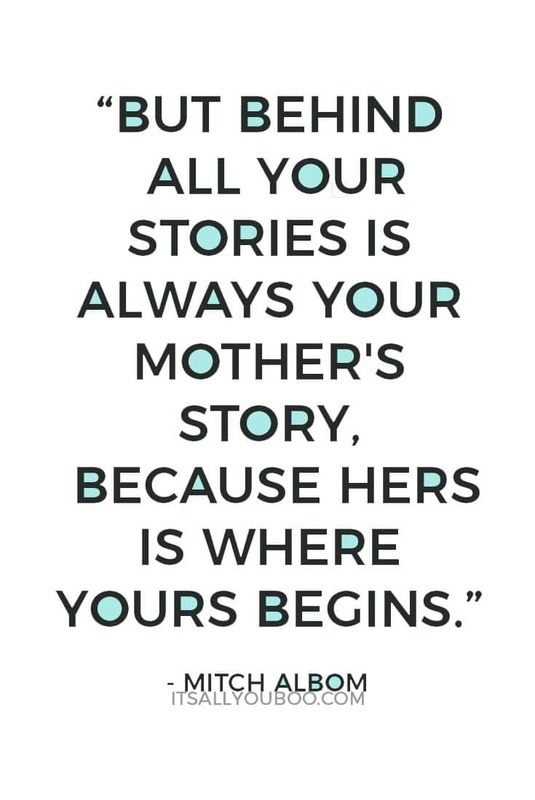 Quotes are my favourite, so many great Mother’s Day ones to choose from.